Stapler (in translation from English] "the stapler") is required in the home and at work thing. Stationery stapler is designed for clamping sheets and files. Stapler there are five types: manual, manual office, table horizontal or vertical, bookbinding, printing. They differ primarily by the number of sheets that can be bound simultaneously. Determine what you type of stapler. To do this, look how many sheets you can flash at the same time. The most simple are pocket staplers. They are designed for stapling up to 10 sheets. Manual office have a special recess on the fingers and allow you to staple up to 30 sheets. The desktop is horizontal or vertical there is a rubber or plastic sole, they stitch up to 50 sheets. In bookbinding can bind up to 150 sheets, and printing with a maximum depth of firmware, connect to 250 sheets at a time. Feature stapling with a stapler is through the mount, which you perform using metal braces. The clip pierces the sewn sheets right through, and its ends abut the plate at the end of the other side of the stapler. Before charging the stapler, size of staples, which is right for them. Clamps (also called clips) come in several types: №10, 26/8, 26/6, 24/8, 24/6. This number is written on the package. Brackets will be Packed in cartons of 500, 1000 or 2000 pieces. Some of these will fit your particular stapler, find out by looking at its packaging. In order to charge the selected stapler staples, peel back the cover. It is connected by a spring with a plastic element which pushes the staples to the opposite edge of the metal groove in which to put the staples. Opening the lid will pull in the spring, and, therefore, a plastic element, relieving, thus, the space for new clips. 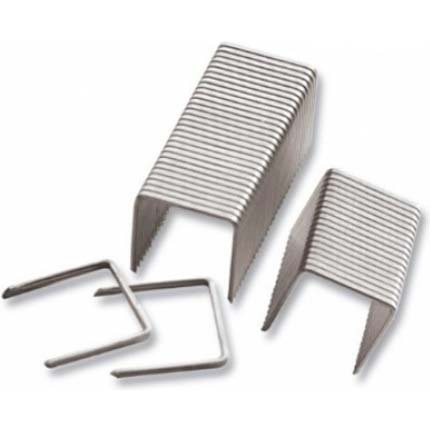 Take one section of staples and place them in a metal groove ends down. Close the cover and click for the sample with a stapler once. If it had the bracket with concave ends to the inside, so you did the right thing, if this did not happen, or bracket bent correctly, repeat the procedure or adjust the stapler.